Dave started talking with the other neighborhood kids about racing. Some of the kids had been to the Speedway, and their description only made Dave’s imagination go into overtime. 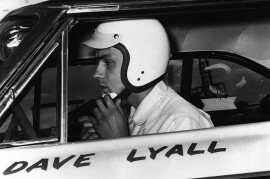 One Saturday Dave’s father was taking him to the White Castle restaurant close to Motor City Speedway, and Dave asked if they could drive by the Speedway. 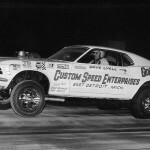 When they pulled up Dave just stared at the big Motor City Speedway sign, an image of the roaring cars speeding by stirring his imagination. He knew he needed to get his parents to take him to a race. Like most parents from that era, Dave’s folks weren’t into racing. They knew how badly Dave wanted to go, so the next Sunday they dropped Dave off at the track with $2.00 so he could go in and see what he had been missing. Like most of us, Dave’s first experience was overwhelming. The sounds of unmuffled race engines, the smell of castor oil and methanol, the sights of cars racing bumper to bumper were so exciting. He watched a full day of racing that culminated in Iggy Katona taking a win in both Roadster and Coupe classes. They let the crowd down in the pits after the race and Dave got to meet Iggy. It was far more than Dave had ever expected, he was hooked on racing and race cars from that moment on. It must be nice to figure out what you want to do with your life at such a young age. Dave started to hang around at Campbell’s Gas station on Stephens and Gratiot. Campbell’s Gulf Station had a race car and treated Dave like he was family. If Dave wasn’t at the station, he was at Motor City Speedway. Dave used to hitch hike or walk the three miles from his house to the track and watch the races all day long hanging out with the drivers and crews after the race and then Dave would hitch hike or walk home at 11:00 pm. The hot summer nights and the friends Dave made at the track are the core of his love for racing. When Dave turned 16 he was made an official employee of Campbell’s Gulf Station and worked there till the early sixties. An opportunity to work at Bob Ford in the service department opened up and Dave was hired to handle their performance related customers. 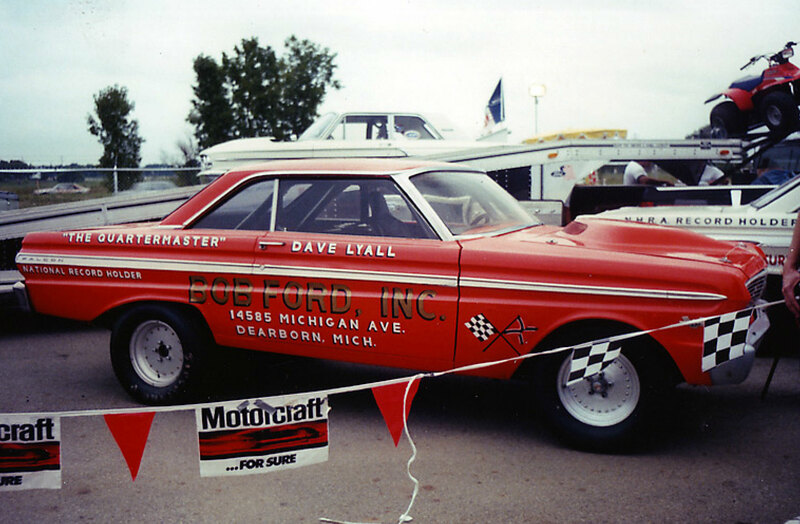 Dave’s racing success with Bob Ford’s sponsorship soon was noticed by Ford Motor, and Bob Ford (now Fairlane Ford) became a Ford sponsored team. Even at that young age people were recognizing Dave’s talents. 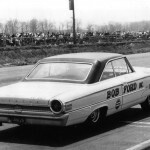 In December of 1963, Dave got a great opportunity when he met Ben Dodyk who was a supervisor at Ford Engineering’s Dyno facility. No better opportunity existed to find out what makes power than Dave’s new job. 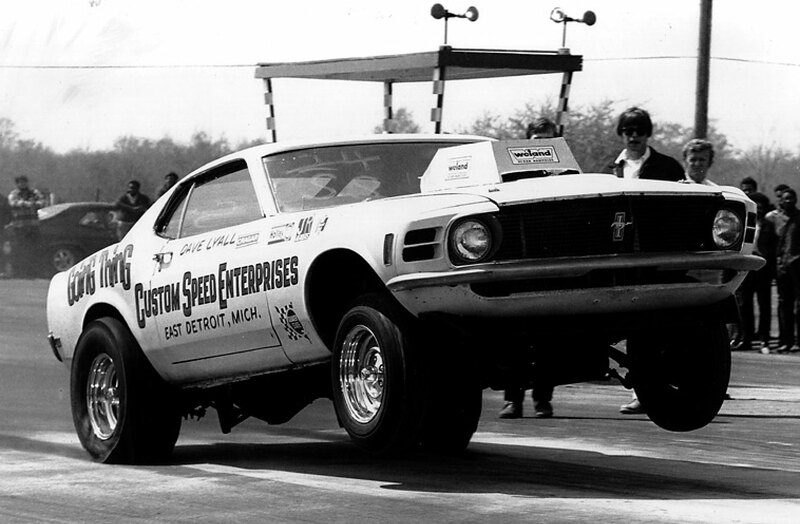 Surrounded by performance minded engineers, Dave gave himself an education in horsepower. 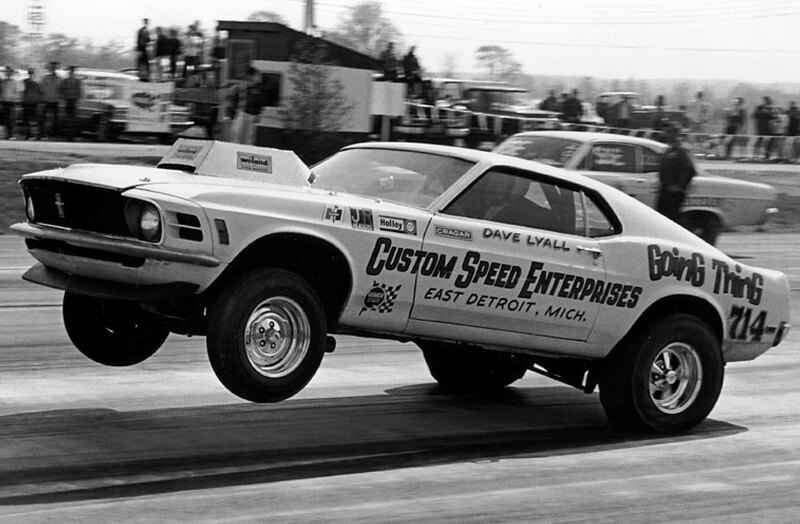 Over the next fifteen years, Dave worked on Ford’s Indy program, Nascar, 24 Hour of Lemans, Trans Am and Drag Racing programs, plus a tour as engine assembly supervisor at Ford’s Dearborn Engine Plant during the 427 era. 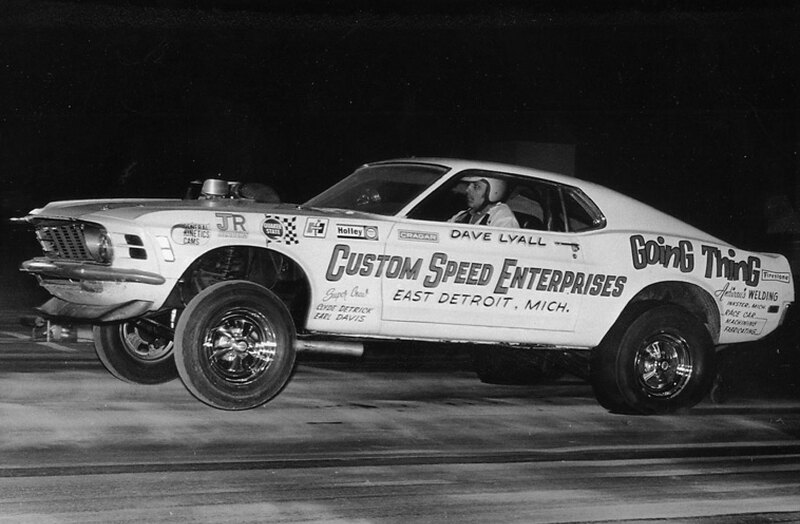 All the while Dave was Drag racing in several different sanctioning bodies. 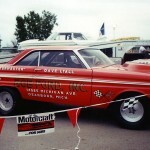 Dave was a pioneer in Pro Stock racing. 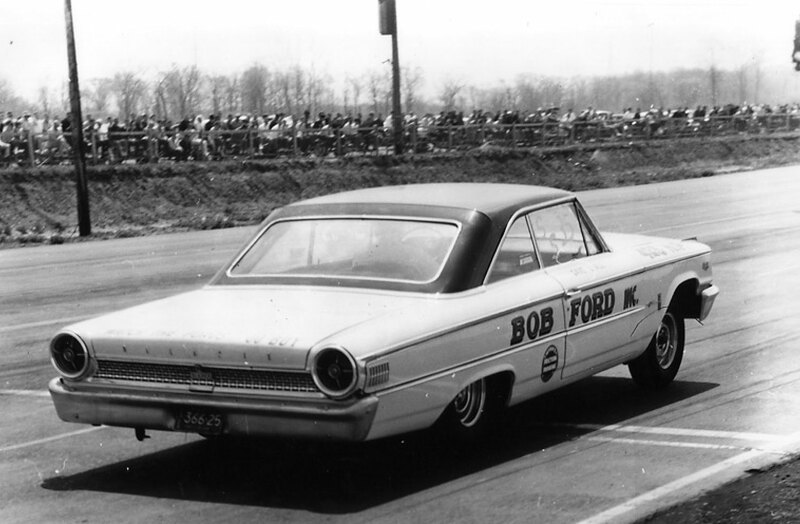 Nascar was the first to sanction Pro Stock type of drag racing, which was picked up by the now defunct AHRA. 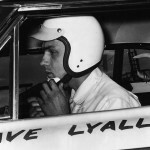 In June of 1969 in Bristol Tennessee, Dave was the first Pro Stock to dip into the 9’s. Right about that time Ford’s then drag racing manager Emil Loeffler introduced Dave Lyall to Carl Holbrook, another up and coming drag racer from New Jersey. That was the beginning of a long relationship that lead to Dave and Carl even becoming related when Dave married Carl’s wife’s sister. Dave left Ford in 1970 to open his own Garage. The business was doing well, but Ford kept approaching Dave to come back. 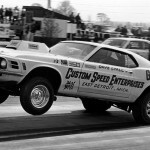 In 1977, Dave went back to work at Ford. There were still projects that Dave hadn’t finished at his old shop. Carl provided Dave a place in his shop to set up and finish the projects from the old shop. Dave was working at Ford during the day and at Holbook’s at night. During that time Dave started influencing a new generation of racer fabricators. In 1982, Chris Holbrook had just started working at the shop along with a 16 year old Steve Grebeck. Chris Holbrook and Steve Grebeck served their apprenticeship together under the supervision of Carl Holbrook during the day and Dave Lyall at night. The group was working on Holbrook’s Pro Stock and Super Stock teams during the day, and then Dave would work with Steve fabricating at night. It wasn’t long before Jack Roush wanted Dave to quit Ford and come work for him. The deal contained a clause that kept Dave from working for anyone else while he worked for Jack. Steve followed Dave to Roush’s shop where they worked on every racing program Jack Roush was involved in. 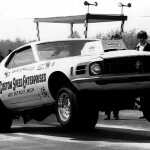 The programs that Dave worked on at Roush Industries for the next 17 years expanded Dave’s already large knowledge base. In 2000, Carl Holbrook passed away, shortly after selling his business, a local Ford and Linclon-Mercury Dealer to Stu Evans. 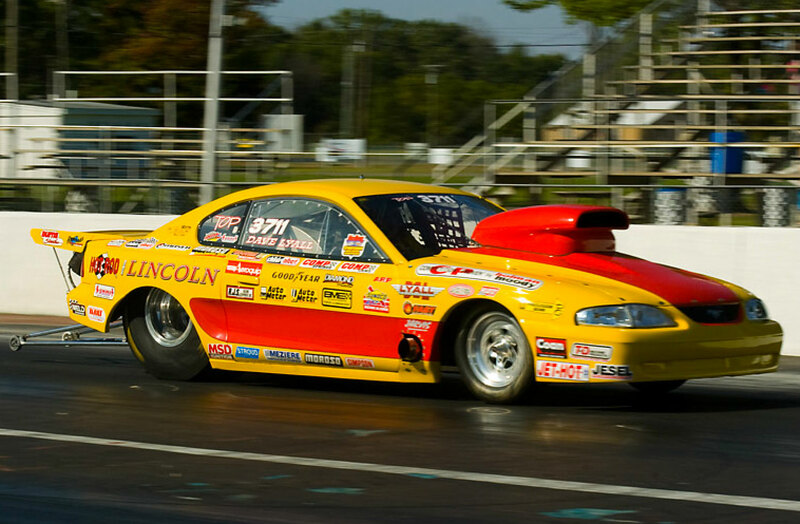 In 2001, Livernois Motorsports bought Stu Evans race shop where Chris Holbrook was working at the time. Dave joined Chris at Livernois soon after. Chris wanted to start his own shop and Dave left to help him open it. After helping Chris get the shop opened, Dave went to work for McLaren Performance Technologies as a Sales Manager. By 2006 Dave missed directly working on race engines. 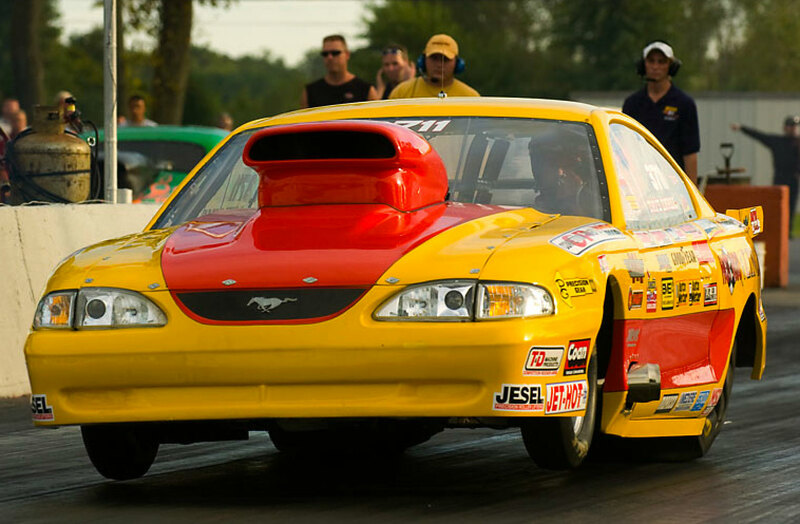 Holbrook Racing Engine has been enjoying Dave’s vast amount of knowledge and experience gained from a lifetime of racing and fabricating with the best minds and biggest names in the motorsports world. 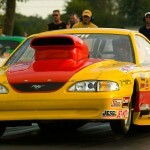 Let Dave, Chris, Jeremy and Glen at Holbrook Racing Engines apply our talent and experience to your engine program.